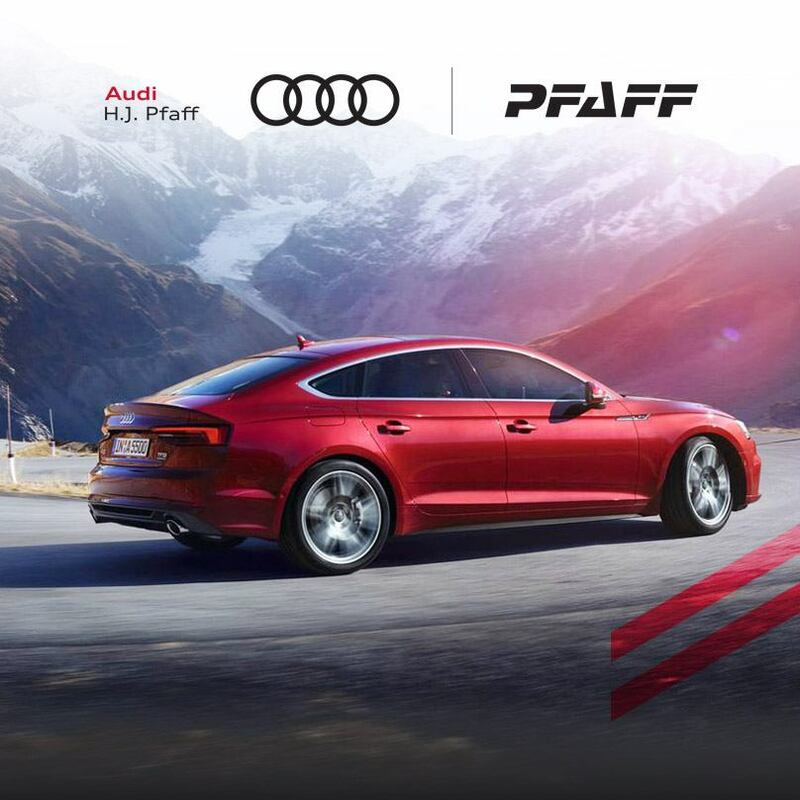 Spring into Audi Sale Event! Lease from 3.98%* or finance from only 3.98%* + up to $1,500 Audi Credit† available on select models* at H.J. Pfaff Audi Newmarket. The Audi A5 Sportback: the classic coupé. Re-interpreted. Featuring a powerful silhouette, strong shoulder line and classic coupé elements, the Audi A5 Sportback has it all. Starting with the wider singleframe grille, iconic lines extend over the power dome in the hood and along the body of the Audi A5 and S5 Sportback. A sharper wave in the shoulder line and accentuated wheel arches give a commanding stance. Slimline 3D LED taillights and a dynamic edge on the tailgate ensure the Audi A5 Sportback tugs at the heartstrings, from any angle. Available with Audi virtual cockpit and 19-speaker Bang & Olufsen 3D Sound System, the Audi A5 and S5 Sportback can be further enhanced with advanced safety and driver assistance systems, adaptive damping suspension and even a head-up display. Rich leathers and beautiful inlays allow for a completely unique and personalized driving experience. 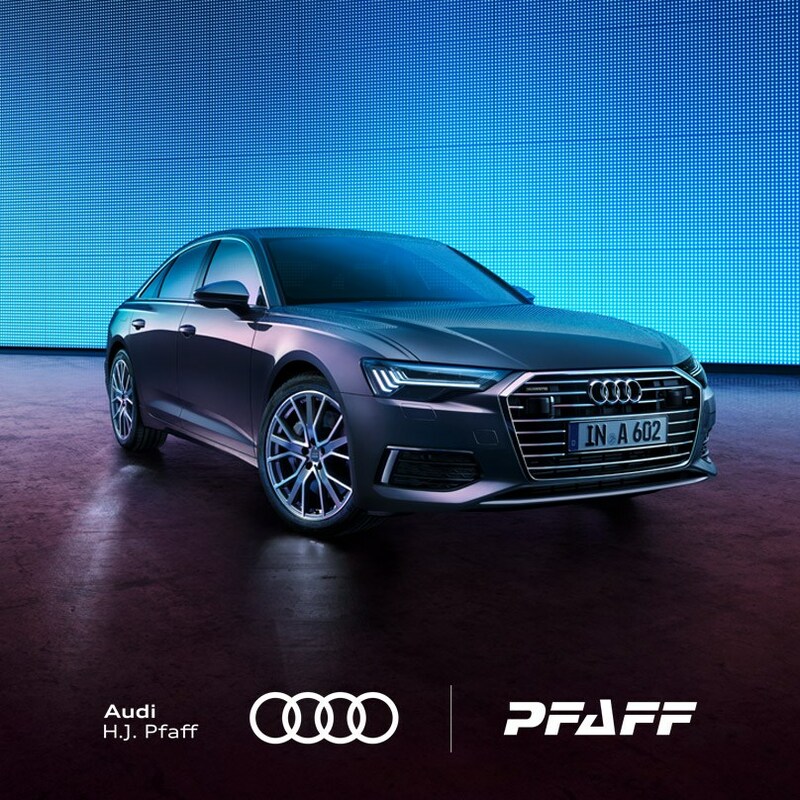 Audi connect Navigation and Infotainment and Audi connect Security and Assistance services are available on the 2019 A5 and S5 Sportback. With high-speed 4G internet access available in your Audi, unlock a range of Navigation and Infotainment services that will keep you connected to your world anytime, anywhere. Available services include satellite maps, parking information, traffic light and sign information and more. To give you peace of mind on the road, with Audi connect Security and Assistance features, you are only a call or click away from help. Includes services such as stolen vehicle locator, emergency call, online roadside assistance and more. Offers end April 30, 2019. Spring into Audi Sales Event! Lease from 1.98%* or finance from only 2.98%* + up to $2,500 Audi Credit† available on select models* at H.J. Pfaff Audi. Setting new standards for the sport sedan class, the Audi S4 is bold as it is expressive, featuring iconic S details like the distinctive aluminum finished exterior mirrors, lowered suspension and sporty quad exhaust outlets. With standard Audi smartphone interface, connect your mobile phone to the USB port and interact with navigation, phone, music and other selected apps on the MMI menu. Form and function have met their match. Personalize your A4 by adding S line sport package or S line black package to set the bar above the rest. 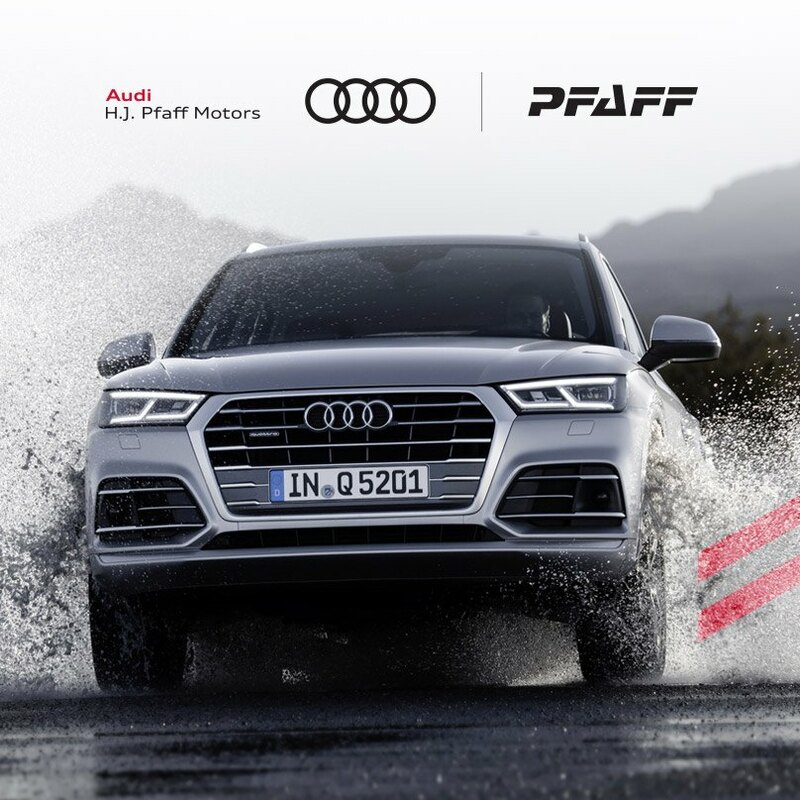 Experience the unparalleled traction and control of quattro all-wheel drive. Using ultra technology, the quattro all-wheel drive system intuitively monitors driving conditions to achieve maximum driving performance. 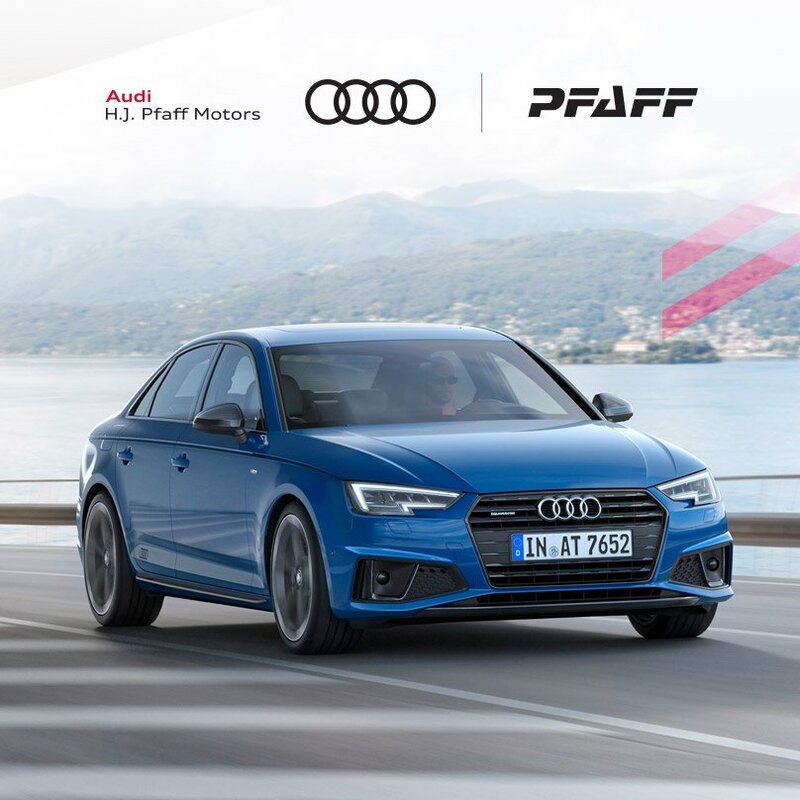 Audi connect Navigation and Infotainment and Audi connect Security and Assistance services are available on the 2019 A4 and S4 Sedan. With high-speed 4G internet access available in your Audi, unlock a range of Navigation and Infotainment services that will keep you connected to your world anytime, anywhere. Available services include satellite maps, parking information, traffic light and sign information and more. To give you peace of mind on the road, with Audi connect Security and Assistance features, you are only a call or click away from help. Includes services such as stolen vehicle locator, emergency call, online roadside assistance and more. Tons of specials for all our New vehicles, hand picked by our team and discounted for you.